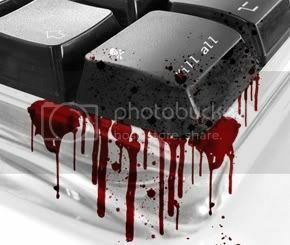 Here’s a little dark flash fiction in honour of Valentine’s Day. Yes, of course it’s a little twisted, but then would you expect anything else from us at Bleeding Ink? A quarter mile off the main road, where only hunters ventured to wander, Gage Sanders led a group of officers through the forest searching for the missing woman. Gage was known as the best tracker in the area and knew these woods like he knew his home. He’d helped the police on more than one occasion. Walking ahead and alone, he didn’t talk. He preferred it that way. The officers following him discussed what could have happened to the woman and observed his tracking skills. He zigzagged through the bushes, doing his job, leading, and listening. Gage stopped at the edge of a small clearing and put his hand up. The officers looked beyond Gage to a large tree where a woman hung from a branch ten feet high. Her shredded shirt was twisted tight and caught in the rope that hung around her neck knotted at the back, exposing plenty of bare skin. Captain Andrews pointed to the scratches and dirt on her back and the bruises on her arms and legs. Gage walked the perimeter. Captain Andrews watched him studiously. Blood had dripped down her legs and pooled onto the ground, but most of it had dried now. As Gage and Andrews walked around in front of her, Gage stared at the hole in her chest where her heart had been. He’d never been squeamish, having gutted deer, bear and moose most of his life. He’d seen some gory things, this didn’t make him flinch. Andrews covered his mouth and watched the absence of reaction in Gage. Gage squatted down, took off his green John Deere cap, scratched his bald head, and surveyed the area with narrowed eyes, looking around microscopically for clues. “I don’t see anything…” Captain Andrews eyes darted to the bushes, back to Gage, then back to the bushes again. He walked over and parted the branches with his gloved hands. On the ground was a half-eaten heart, taken from the woman still hanging from the tree. A hunting knife stuck out of what was left of the heart and held a note in place. He tipped his head sideways to read the note, careful not to disturb the evidence. ‘A piece of your heart will always be mine. If I can’t have you no one will.’ Andrews stared intently at the bloodied knife. “Just about,” Captain Andrews answered. “Handcuff him.” He nodded toward Gage prompting the other officers to grab the tracker. “When did you know?” Gage asked, no emotion in his dead eyes. “A little too much, I’d say,” Andrews answered. “Read him his rights,” he said through gritted teeth. 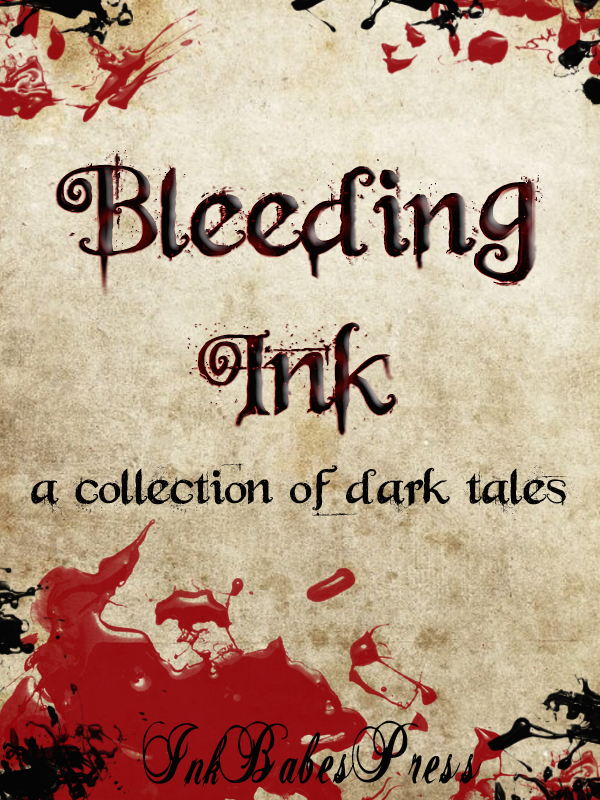 Here at Bleeding Ink Anthology, we love dark tales. The sinister, the wicked, the morbid, the supernatural, and anything that makes you wonder how or why this story happened, and makes you think about a story long after reading it. 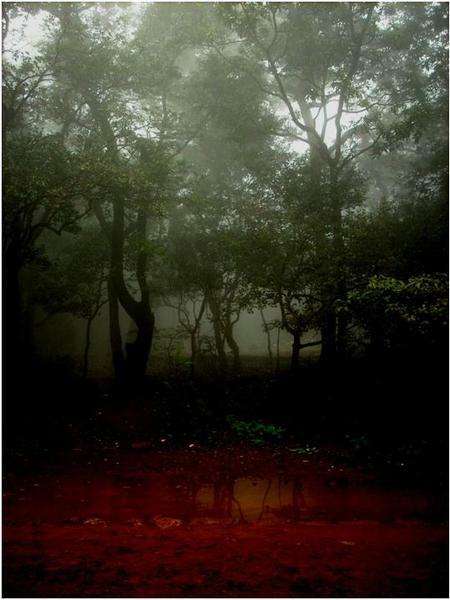 If you have a dark story, flash fiction, or poem send it to us. We’d love to read it and consider it for our anthology. May the dark muses continue to inspire you and bless you with creative thoughts.